They came. They made. They conquered! Our summer camp kids were an ABSOLUTE dream to have in camp! Here's a snapshot of what we made. Be sure to follow us on Instagram and Facebook, if you're not already. Some time ago, probably going on two years, I began looking for ideas to make road trips and plane trips more enjoyable for my then-toddler. 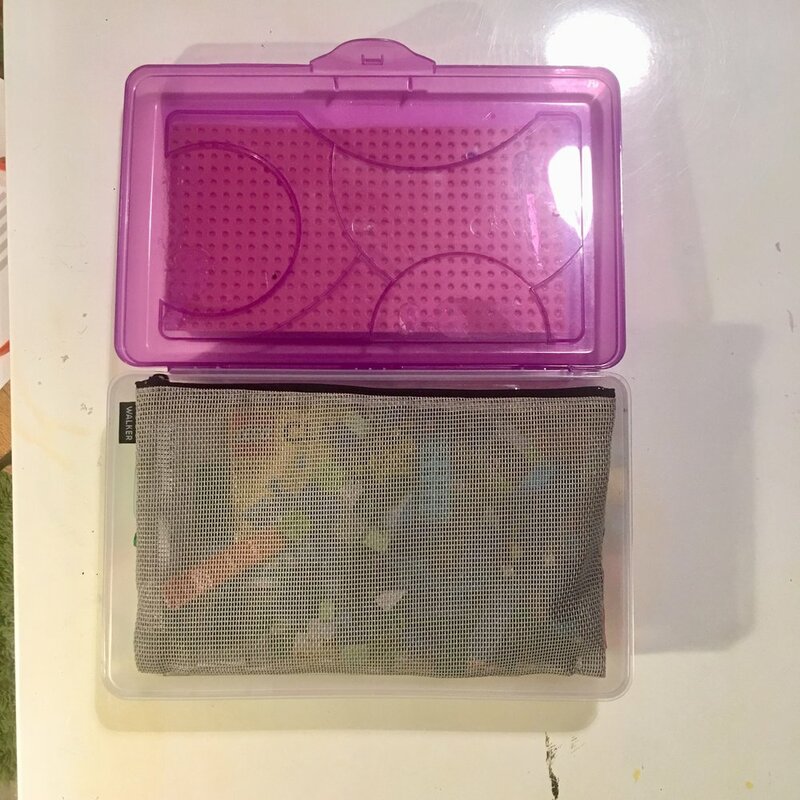 After scouring stores, talking with parents and caregivers, exploring Pinterest, and knowing what my kiddo loved, I began to experiment with a travel kit. What came of it is our ever-evolving magic travel box. It's chock full of open-ended activities for your kidlets when you need a break or time to kill sitting on a plane or in a restaurant, at the beach, while camping, in the car... Where will you take it? Where will it take you? 1. Plastic snap-lid oversized pencil box with a piece of LEGO "land" cut to size and hot glued to top. 3. Stickers! We subscribe to a monthly sticker club and it's AWESOME! 5. Dry erase markers and a homemade double-sided tic tac toe/what we call the "making squares" game...does anyone know the official name?...on a heavy piece of paper wrapped in clear packing tape. Pics above from Left to Right: that darned "making squares" game; Ooly markers and Walker mesh bag; getting packed up...when packing, the thinner the layers the better; all packed up and ready to close/go! And it fits nicely in a backpack, too. It's important to note...one needn't run out and buy everything on the above list...they're merely suggestions of our favorite things. It's amazing how much of these things we can gather up around our house. Ziplocks work in a pinch for the carrying pouch. You can make your own puzzle...blog post a few back:-) And if you happen to have extra contents, please consider giving to a family less fortunate. Be kind. Make Art. Cut construction paper into 1-1.5" strips, about 12" long. With adult help, curl about halfway down each strip of paper using open scissors (optional). Using blue tape, attach ends of construction paper to ends of handle bars, leaving the majority of the paper to hang free off the sides. Wrap pipe cleaners over tape. And if you don't have a bike, THAT'S OK! Decorating empty paper towel tubes in place of bike handles gives you an instant wand to wave.